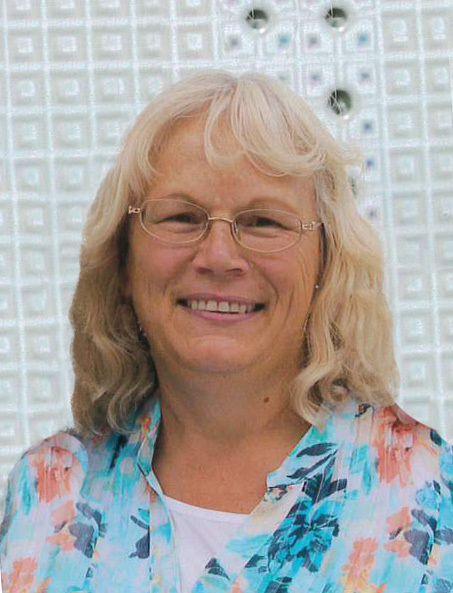 Carol Ann Tuttle Barney, 62, of Pleasant Grove, Utah, passed away Tuesday, December 4, 2018 at the Utah Valley Regional Medical Center in Provo, Utah. She was born January 17, 1956, in Provo, Utah to Harold Strong Tuttle and Florence Elsie Giles. She married Jay Kelvin Barney on March 28, 1975 in Springville, Utah and was later sealed for eternity on March 30, 1976 in the Manti, Utah L.D.S. Temple. Carol grew up in Springville, Utah her entire adolescent life attending Lincoln and Jefferson Elementary, Springville’s Middle, Jr., and Sr. High Schools graduating in 1974. She lived on the old “straight-line” as it was called on South Main Street. Early in Carol’s life she developed a sense of wittiness that enabled her to achieve just about any mischief, joke, or prank a person could play on someone in a smiling happy way to another human being. For example, when she was a young teen, money was scarce and since she loved to roller skate she devised a plan to come up with enough money to achieve her goal. So she went from door to door asking her neighbors, “I’m on a scavenger hunt to go roller skating. I have two squares of toilet paper or a paper clip. What would you give me for it?” Some would give 5 cents, others would give a little more or less, but soon she had enough to pay the entrance fee to go skating at Park RoShe Roller Rink. Once there, she skated her heart out having a ball. Over the years, Carol groomed this talent in every way by being clever, funny, pranking, and just having a blast. In her mature years of life she turned all of these attributes of joking and clowning of her youth into a service of pure love for others with a smile never ceasing. This “pure love” is what Elder Holland said is the foundation stone of our daily life and is a requirement for every true disciple of Jesus Christ. Carol’s second gift is the talent to sew as an angel! But as humans she had to unlock those skill sets. About the time Carol again was in her early teens, her Grandma Tuttle and her Aunt Thelma were self-employed professional seamstresses for the B.Y.U. Ballroom Dance teams who perform each year. These dresses were made from an idea sketched from the director with the dancers showing up for the initial measurements. From there the magic would begin. These gowns are full length ballroom dresses with sequins and other accessories. Carol was a lifelong member of the Church of Jesus Christ of Latter-Day Saints and not only enjoyed following but loved her Lord and Savior with all of her heart and soul! She held many positions over the years including Primary Teacher, Relief Society Secretary, Relief Society Visiting Teacher, Ward Building Cleaning Coordinator, and Ministering Partner with her husband. Carol is survived by her husband Jay; her three beautiful daughters who gave her delight beyond measure: Keturah A. Turner of West Jordan, UT; Angela B. Wells of Orem, UT; and Charlene M. Peynetsa of Pleasant Grove, UT; seven grandchildren who are the sparkle of her eye and who she loves very much: Zachary, Kiara, and Kassandra Turner of West Jordan, UT; Kody and Kierstin Wells of Pleasant Grove, UT; Frankie and Andie Barney of Orem, UT; one older sister who she loves and admire: Cathy Neilsen of Springville, UT; two younger brothers who she also loves deeply: Brent (Michelle) and John (Valene) Tuttle of Springville, UT and many aunts, uncles, cousins, nephews and nieces all whom she tried to nurture a loving and lasting relationship. She is preceded in death by her parents and one older brother in a glorious reunion: Harold and Elsie Tuttle and Jay Tuttle; one son who she loves and is now holding hands: Hyrum Jay Barney. Funeral services will be held Monday, December 10, 2018 at 11:00 a.m. in the L.D.S. Timpanogos Stake Center located at 800 North 100 West, Pleasant Grove, Utah where friends and family may attend a viewing from 9 :00 - 10:45 a.m. in the primary room prior to the services. Interment will be in the Pleasant Grove City Cemetery. Condolences may be sent to the family at www.olpinmortuary.com.